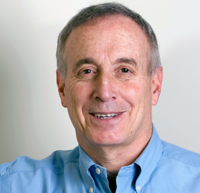 Larry Kotlikoff’s Social Security original 34 “secrets”, his additional secrets, his Social Security “mistakes“ and his Social Security gotchas have prompted so many of you to write in that we now feature “Ask Larry” every Monday. We are determined to continue it until the queries stop or we run through the particular problems of all 78 million Baby Boomers, whichever comes first. Kotlikoff’s state-of-the-art retirement software is available, for free, in its “basic” version. His considerable and often very useful output is available on his website.